Just because you are living with a significant other and love them dearly, doesn’t mean you have to share every bit of space with him or her. Sometimes you need an area that belongs entirely to you. With a bathroom or office remodel, you can create an individual space while maintaining a cohesive room. There is no place in the entire home that deserves individualism than the bathroom. Morning routines run smoother when you are bumping each other or vying to use the same space. No matter the size of the bathroom, his and her spaces can be created. Installing a long countertop with individual sink basins allows for personal space while maintaining a shared feel. The large countertop also leaves plenty of room to spread out and utilize your own space. Working remotely from home is becoming increasingly popular in our day in age. When you and your significant other are sharing an office space, it is important to have two separate desk spaces. Separate desk spaces allow you to complete tasks without encroaching on each other’s space. 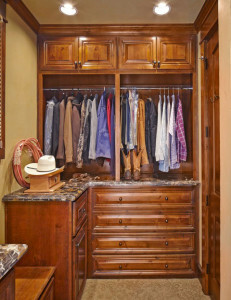 Having adequate draw and shelving space is also essential to keep from battling over prime storage real estate. Giving yourself a little personal space while still respecting your partner’s space can be achieved with his and hers spaces.